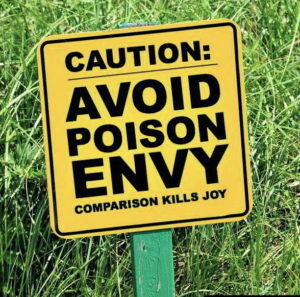 Envy or not. I say not. This past Christmas, my husband and I traveled to Atlanta and Charlotte. We had a great time and wonderful hosts in a number of lovely, spacious and well-appointed homes. One couple has six bedrooms and a cleaning crew that comes in every two weeks. Their traditionally-appointed space is filled with art, multiple gathering places, and very organized and spotless – cleaner than clean. A long-term friend, as always, has a home that is delightfully decorated with colorful original art, small sculptures and tablescapes, and arrangements of pillows and rugs that could definitely be featured in a decorating magazine. The homes in Atlanta and Charlotte that I visited are very different than the homes in most of Massachusetts except for some of the suburbs. They each had lots of light and more space than my colonial in Dorchester. Another friend has a townhouse that is elegantly decorated and also spacious. I didn’t envy or covet any of what I saw, except maybe the ability to afford a cleaning service every two weeks and the proximity that two of my friends have with their children and grandchildren living in the same city they do. 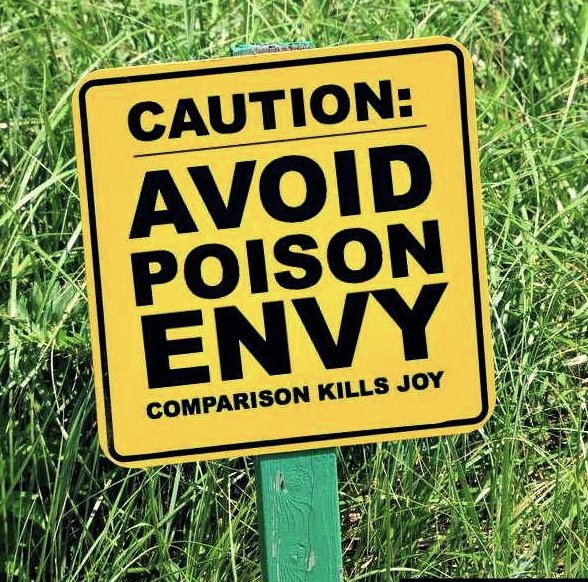 I was inspired to write this post because someone near and dear to me is envious of others. They don’t feel they’ve gotten their due in life; they see scarcity in what they have instead of abundance; they don’t seem to have done the self-analysis to see what part they may have played in missing opportunities or not being bold enough to create others. They don’t count or hold on to the wonderful experiences they’ve had including consistent international travel. They are youngish and beautiful and healthy and…I wish I could shake them to say, “Hey you, pay attention, wake up: this is it. This, right now, is your life. Enjoy it. Keep trying to get all those other things you want, but take time to enjoy each and every day. Also, stop complaining out-loud on social media. Stop it! It’s not becoming. I remember times when I should have asked for help and confessed my struggles. I suffered needlessly sometimes because I didn’t want to share what I thought was my stupidity or bad decision. I didn’t want to hear the word no or feel judged by others. And so I suffered. I do not mean that I was inconvenienced, I was hurt and truly suffered. I was once in so much pain and fear that I started crying on a local bus. A very kind driver talked to me for a few minutes when we reached the last stop. He said that whatever was bothering me would pass, that things would get better and if there was anything he could do to help to let him know. He asked me if I was going to be safe. I’ve never forgotten his kindness because it helped me breathe, go on through the rest of my day and, go home to my children whose youthful love and shenanigans distracted me that evening. Soon after, I got the courage to face my fear and the consequences of ignoring a small issue for so long that it became a real problem. The past is done. Beating myself up doesn’t help. All I can do is move forward more aware and try to share my hard-earned wisdom with loved ones who will receive it. I can’t have anyone else’s life, not the ones that seem glamorous and out-of-reach or the ones of people very similar to me, whose accomplishments and accouterments seem like I might would have done as well as they’ve done if I had lived differently Who can say with certainty? I haven’t had another life, but damn it, I’ve had this one, my very own and it’s been so filled with goodness and joy, sometimes at the same time as pain and dissatisfaction. I’ve lived long enough to know that everything is not always as it seems. Would I trade places with any of the people I visited? No. I like where I am…. except when I don’t. The clouds and storms pass. I’m not doing too badly. Their lovely is theirs. My lovely is mine. So I say, once again, to that person I love who is constricted by envy, let it go. Live and appreciate your own life right now. It’s the only one you have. Well said, like a multi-dimensional sage person living her life grateful for every sunrise. Thank you. I am grateful for every sunrise and for every dear person like you who reads and makes time to comment. A valusble lesson learned. Thank you for sharing. Keeping some room in your heart for the unimaginable as we move forward being grateful in advance. Being grateful for what we’ve got is the most powerful creative force in the Universe. Many claim to be authentic or genuine. Pick your own word to describe yourself. If this is the case then our lives and thoughts of who we are will reflect. Can’t help it. What you think is who you are. A no brainer. As we travel the road of older growing, a state of being that escapes no one, then we begin to realize that being careful for what you ask for is a red flag of caution because you just might get it. 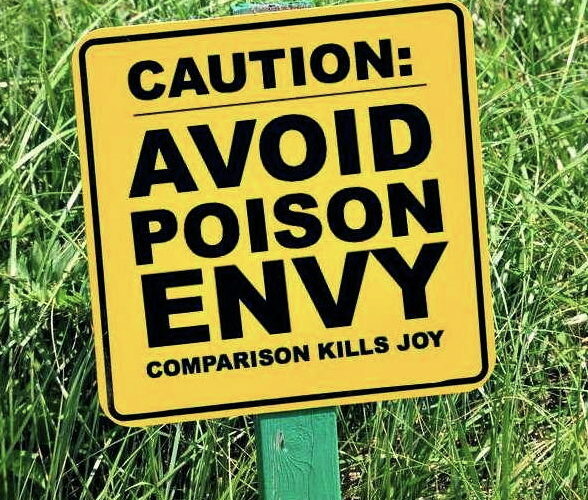 Envy of others is a condition of seeing things from the surface of others lives and the manner in which they appear to live. It’s what’s going on behind the scenes that may be telling. True wisdom so eloquently put. It’s like an iceberg We only see the tip, not what’s underneath. Thank you for reading and leaving such a thoughtful comment.